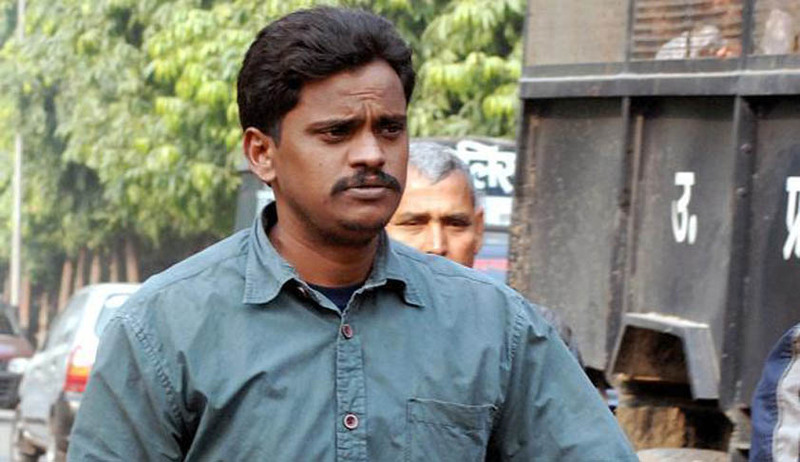 The Supreme Court of India today sought response of Nithari serial killings case convict Surender Koli on a petition of the Uttar Pradesh government against the Allahabad High Court verdict that commuted his death penalty to life term earlier this year. A bench of Chief Justice H L Dattu and Justices Amitava Roy and Arun Mishra issued notice to Koli on the UP government's petition against the high court order that had criticized it up for "inordinate delay" in deciding Koli's mercy petition. On January 28, the Allahabad High Court had commuted the death sentence, awarded to Koli, to life term in the murder of 14-year-old RimpaHaldar. On February 13, 2009, Koli was sentenced to death by a special CBI court in Ghaziabad. Allowing a PIL filed by People's Union for Democratic Rights, clubbed with another petition filed by Koli himself, the High Court had passed such an order. Both the petitions had questioned the constitutionality of the execution of the death sentence in the light of the fact that Koli has been languishing in jail more than seven years and that the time taken in deciding his mercy petition alone was "three years and three months", violative of the Right to Life granted under Article 21 of the Constitution. The case goes back to the year 2006, when Rimpa’s murder gathered attention following which many children from Nithari went missing over a period of time and skeletons were recovered from the residence of Koli's employee, Noida-based businessman Moninder Singh Pandher.